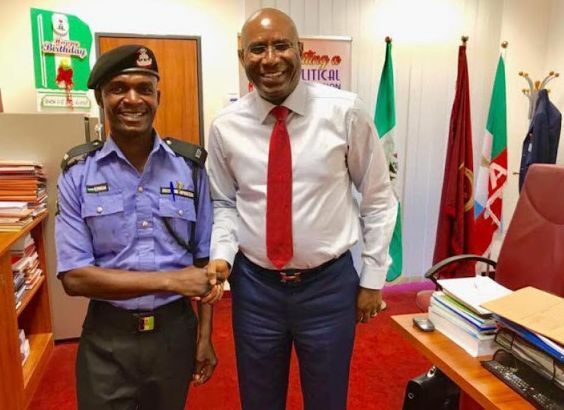 Senator Ovie Omo-Agege representing Delta Central senatorial district in the National Assembly has been able to move the Senate to direct the authorities of the Nigerian Police Force to reinstate one Mr. Ovuomaraini Akpemetegho to service. He was unjustly dismissed about 12 years ago. Yesterday, dressed in his police uniform, Mr. Akpemetegho returned on his own to say thank you to the lawmaker for representing him with pride. In turn, the senator counseled him to be a good example in the Police and wished him well.